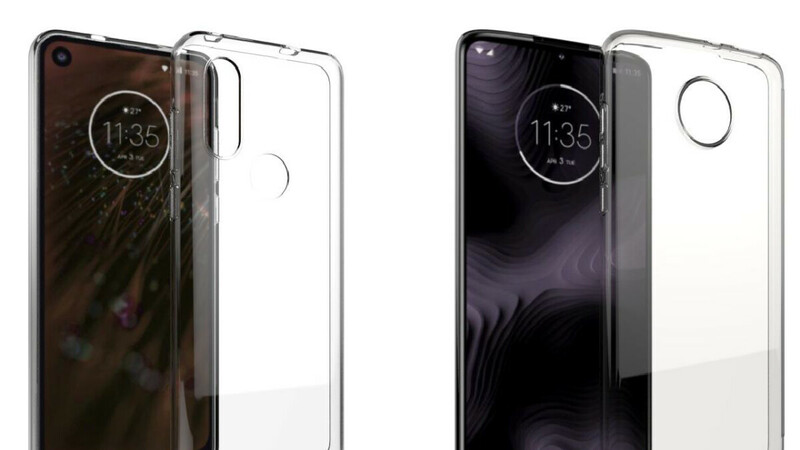 The Motorola P40 and Moto Z4 Play are still a couple of months away but today case renders for both devices have appeared online and, as expected, they match the previously-leaked designs. Starting with the Moto Z4 Play, this smartphone looks set to feature an all-screen display that boasts a small chin and a waterdrop-like notch. This setup will seemingly be combined with a new in-display fingerprint scanner. After all, as revealed by the cases, there are no cut-outs for side-mounted or rear-facing sensors. While on the topic of cut-outs, two features that are present include a 3.5mm headphone jack along the bottom and an oddly-placed speaker grill along the top of the smartphone. Moving over to the Motorola P40, this device swaps out the controversial notch for a newer design feature – a display hole. It also scraps the in-display fingerprint sensor in favor of a traditional alternative positioned on the rear. Much like the Moto Z4 Play, however, this device sports a 3.5mm headphone jack. It also features a bottom-firing speaker. Currently, there is no concrete launch timeframe for either of these Motorola-branded devices. But with MWC 2019 just over one month away, there’s a high chance the brand could announce both of these devices alongside the expanded Moto G7 series, which looks set to include four devices. Both are looking pretty good. Why tf does it have branding on the front, looks tacky. It doesn't really "match"... In the first set of pics we got the z4 play had just one back camera, on this one I see two back cameras... So what's the real one? May this one be the z4 (Force) instead?